The Formax FD8302CC Deskside Cross Cut shredder has commercial grade components that include all-metal cabinets, heat treated steel blades, heavy duty AC geared motors and rugged lifetime guaranteed waste bins. 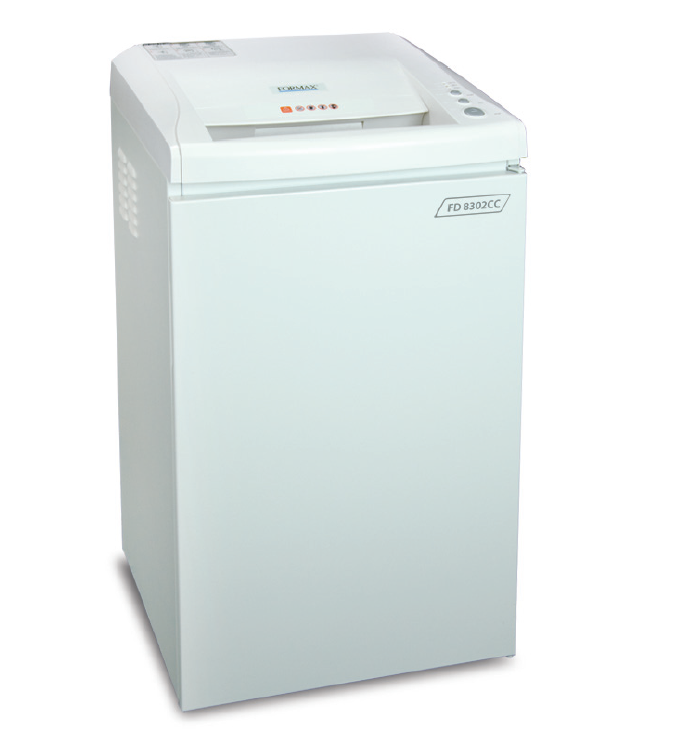 The FD8302CC is as compact as a wastebasket, but powerful enough to handle paper clips and staples. A microcut shred size of 1/16" x 5/8"
Shred Size (in. ): 1/16" x 5/8"